Christmas Background. 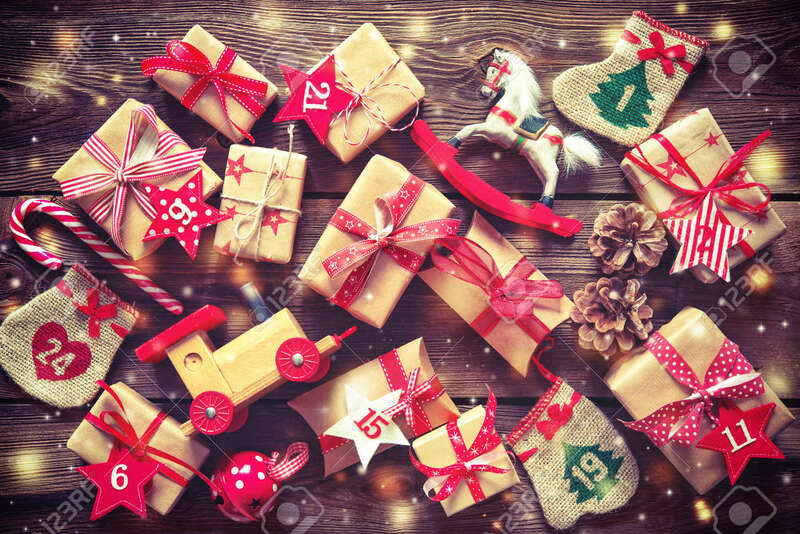 Wrapped With Ribbon Gift Boxes, Toys And Others Presents With The Numbers As Advent Calendar On Rustic Wooden Table Background Royalty Free Stok Fotoğraf, Resimler, Görseller Ve Stok Fotoğrafçılık. Image 88838307.